The Toyota Highlander is a mid-size crossover SUV with a family focus like Hamburger Helper on a weeknight. It has nearly as much interior room as a Sienna, but critically lacks the sliding doors. With the Highlander, Toyota has a rival for vehicles such as the Ford Explorer, Honda Pilot, Nissan Pathfinder, and Chevrolet Traverse. The Highlander's three rows of seating and choice of V-6 and hybrid drivetrains provides the most flexibility within the Toyota crossover family. The Highlander is at the top of that lineup, which also includes the RAV4 and C-HR. A redesigned Highlander arrives for the 2020 model year and is set to go on sale by the end of 2019. Toyota took to the stage at the 2019 New York auto show with a redesigned Highlander. 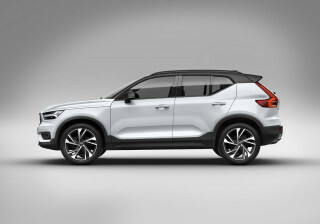 The new model follows its predecessors' basic form with three rows of seats and room for seven or eight passengers, but it's fundamentally different underneath. The new model rides on a version of Toyota's modular platform shared with cars such as the RAV4 and Camry. A 3.5-liter V-6 that puts 295 horsepower to the front or all four wheels via a 9-speed automatic transmission comes standard. 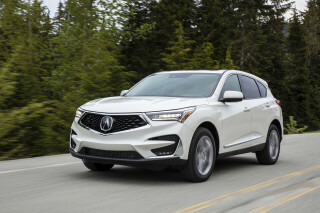 The Highlander Hybrid discards last year's V-6 for a 2.5-liter inline-4 teamed to a nickel-metal hydride battery and an electric motor to deliver fuel economy as impressive as 35 mpg with front-wheel drive. The optional all-wheel-drive system on the Highlander Hybrid features an electric motor on the rear axle. Inside, the redesigned Highlander has a new dashboard with a standard 8.0-inch touchscreen for infotainment on most versions and a 12.3-inch display on the range-topping Highlander Platinum. Second-row captain's chairs are fitted to XLE and higher trims, while L and LE trims have a three-seat middle-row bench. A third row of seats is standard equipment. The Highlander first went on sale in the U.S. as a 2001 model. That original Highlander wore very plain styling inside and out. Though it was mostly a Camry underneath, the first Highlander bore more of a resemblance to the Subaru Forester, with its boxy, upright stance. The compact 2001-2007 Highlander had many advantages, including a usefully tall interior space and plenty of glass for great visibility. Relatively lightweight and equipped with a choice of either a 160-hp 4-cylinder engine or a 220-hp V-6, the 2001-2003 Highlander also came with a choice of a 5-speed manual or 4-speed automatic on 4-cylinder models; the V-6 version came only with the 4-speed automatic. All-wheel drive was a popular option in this generation. The Highlander received a new 3.3-liter V-6 for the 2004 model year; the engine made 230 hp and was paired with a 5-speed automatic transmission. The Highlander's 4-cylinder engine carried over from before. An optional third-row seat also was made available in 2004, providing more seating options than in competitors like the Honda Pilot and Ford Edge. The 2004 model also received slight aesthetic tweaks. For 2006, the big news was the addition of a mild-hybrid version of the V-6 all-wheel-drive Highlander; the system and its batteries and motors were shared with the Lexus RX 400h, which was also introduced that year. Both models offered only small improvements in fuel economy over their standard V-6 counterparts. A new Toyota Highlander arrived for the 2008 model year, with changes that can be considered somewhat of a mixed blessing. Fans of the pragmatic original found the new generation much larger, but also much softer in driving feel, though also more impressively finished inside. The 4-cylinder version made 187 hp and was paired with a 6-speed automatic, but it wasn't as refined as Toyota's small fours used to be. There was a big, automatic-only, 270-hp V-6 option, which was better suited to the hefty second-generation Highlander. 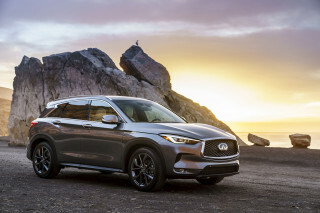 Dynamically, neither version felt very connected or responsive—a problem aggravated by that generation's optional Hybrid powertrain and its feeling-free electric power steering. Toyota had initially planned to shift assembly for this generation of Highlander from Japan to a new facility underway in Blue Springs, Mississippi. The recession and lagging car sales put that plan on hold; the plant was repurposed for Corolla assembly after some delayed and changed plans. For 2008, Toyota imported Japanese-built Highlanders; as of the 2010 model year, Toyota is now sourcing U.S. editions from its Indiana assembly plant. Toyota extensively updated the Highlander for the 2011 model year with a standard third-row seat on non-Hybrid models, and a new front-end look that mimics the one on the Venza crossover. The 2011 Hybrid edition saw its gas-engine displacement increased from 3.3 liters to 3.5 liters, improving fuel economy while netting 10 additional horsepower, for a total of 280 hp. 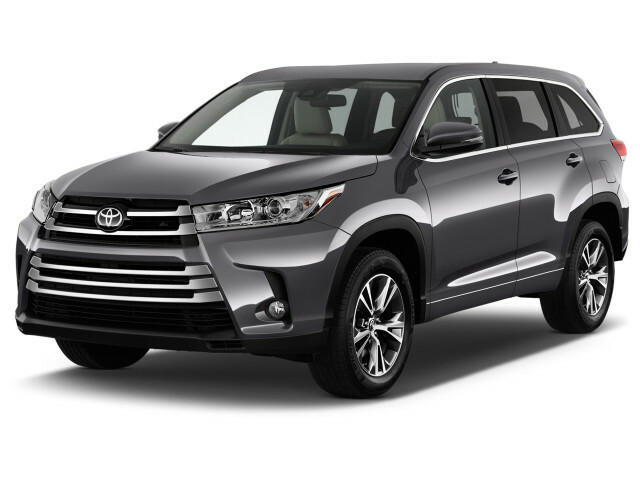 The 2014 Toyota Highlander made its debut with an entirely new look—one that proved to be more assertive and truck-like than ever before. Still the largest crossover in the Toyota lineup, the Highlander didn't grow all that much in any direction, but it looks much bigger as a result of the new sheet metal. The latest cabin is patterned after the one in the new RAV4, and Toyota's infotainment brings with it a large LCD screen for the dash. Powertrains were carried over: there's an inline-4, a V-6, and a hybrid V-6, all with automatic transmissions. All-wheel drive is offered only on the V-6 and hybrid models. Inside, Toyota managed to carve out more interior space and installed more features; one of our favorites was lost in the transition, however, as the hide-away center seat on the middle row was deleted in favor of a plain bench seat or two captain's chairs. Safety is often a concern of families buying crossovers like the Highlander, and Toyota doesn't disappoint. Eight airbags are included on all models, as is a rearview camera. 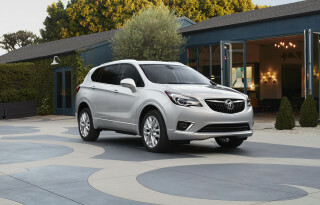 More advanced options include a lane-departure warning system, parking sensors, and blind-spot monitoring. For 2017, it also adds with pedestrian detection and a surround view camera system. The IIHS has named the Highlander a Top Safety Pick, while the NHTSA gave the model a five-star overall score, with four stars in frontal crash and rollover protection. The Highlander carried over unchanged for the 2015 model year, and only received minor changes for 2016. For 2017, it gets a somewhat more aggressive look, more power and improved fuel economy for the V-6, the aforementioned safety features, and a new sportier SE model. Toyota is also expanding the Hybrid lineup. The V-6 adds direct injection and stop/start, and it can now switch between the more powerful Otto and more efficient Atkinson cycles, improving both power and efficiency. 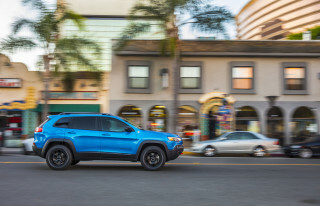 The EPA fuel economy ratings increase from 19 mpg city, 25 highway with front-wheel drive to 21/27 mpg, while the all-wheel-drive version improves from 19/25 mpg to 20/27 mpg. The Hybrid also adds direct injection, and its fuel economy improves to 30/29 mpg.